What, Another Call of Duty Game? Some good things are just supposed to be left alone as good memories. But some people, whom I guess must be evil, are so intent on earning money until they no longer can milk money of the the franchise. They don't care about killing the franchise, because they just know they are idiots everywhere with loads of money to spend. So they keep doing, as if flaunting to you saying, "We can do it because we can." And that was exactly how I felt when I watched the latest trailer for the latest COD installment, called Call of Duty: Advanced Warfare. Because after modern comes advanced, and after that I guess is future warfare? Geddit, geddit? Anyways you can take a lot at the trailer below. I don't know about you, but watching the trailer makes me feel like watching another combination of overused COD tricks. Another world crisis where you have to save the United States, lots of falling off stuff, being in a helicopter, running and some new gadgets that ultimately you can only use in one mission. dont be too happy yet, you can only use this once! Call of Duty used to be fun. I remember the good ol' Nazi killing days, and how Modern Warfare revolutionized the entire gaming field. I bought Ghost out of the whim because I was interested in the stealth concept, but turns out in the end it's nothing but just seeing people use a bunch of toys during in game cutscenes. 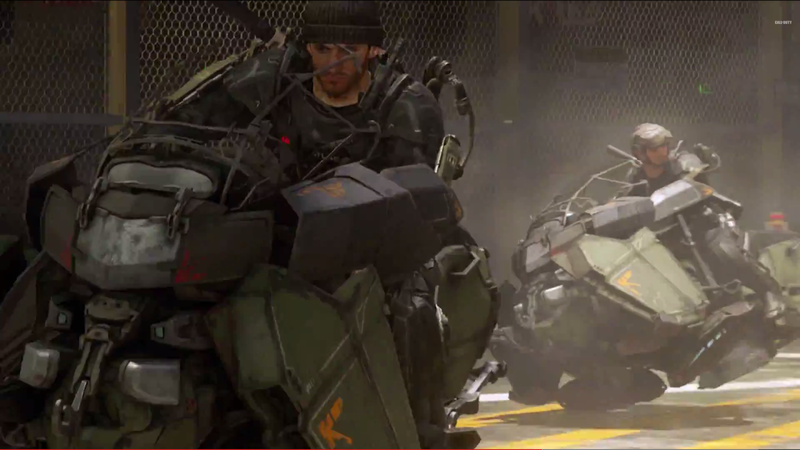 And I don't expect Advanced Warfare to be any different. The graphics are still the same ol' graphics and the characters possesses a same ol' look. It's as if the team behind Call of Duty have resigned themselves to churning out stories that are only slightly different in terms of who's the bad guy, who are the good guys and what got stolen / what needs killing this time. And with nothing new in the gameplay other than point and shoot. I have a feeling that Activision is starting to treat us like idiots, and I think it's time to show them that we're not by boycotting this game completely. Don't buy it, no matter how big a fan of COD you are. Lets strive for 0 sales for this game. It's time we send a message. It's only then will these corporate people will change.